Riga, Latvia - 24-August-2015: View From Tower Of Saint Peters.. Stock Photo, Picture And Royalty Free Image. Image 55768126. Stock Photo - Riga, Latvia - 24-August-2015: View from tower of Saint Peters Church on the roofs of old houses in old city of Riga, Latvia. 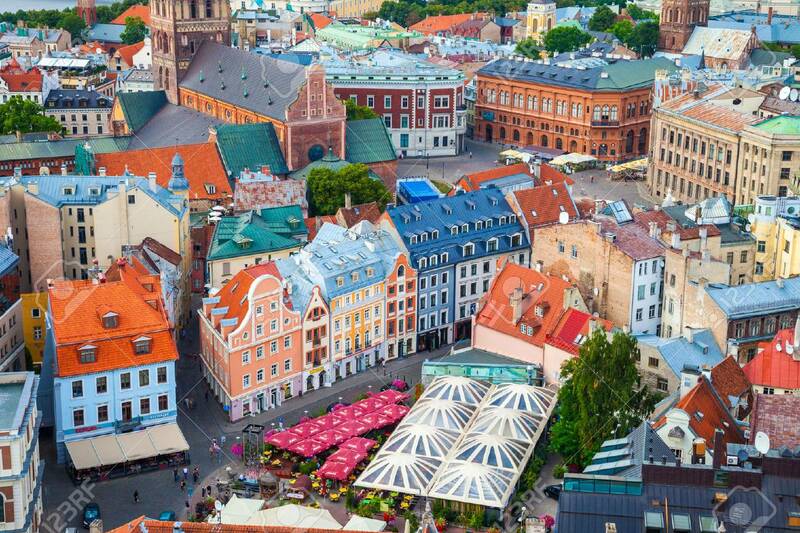 Riga, Latvia - 24-August-2015: View from tower of Saint Peters Church on the roofs of old houses in old city of Riga, Latvia.